Chaos reigns supreme in London at the moment, as British Prime Minister Theresa May struggles to find a graceful way for the United Kingdom to exit from the European Union (EU). Despite agreeing on a deal with European leaders in late 2018, she has been unable to successfully negotiate a deal with political leaders in her own country — and often within her own party. In mid-March, the deal May negotiated with the EU was twice rejected by British Parliament, plunging the UK into uncertainty. The proposed deal was considered a “soft Brexit” and would have allowed for a transition period and the chance to negotiate details on things such as trade. The deal also would have provided more continuity in areas of concern for pharmaceutical manufacturers — such as market authorization — and was certainly preferable for industry when compared to a “no-deal” or “hard” Brexit. After the failure of the second “meaningful vote” (a vote on the deal to leave), PM May suffered another setback, as her request for an extension was rejected by Parliament. As a result, she was forced to ask the EU for an extension on the original Brexit divorce date of March 29, 2019. However, EU leaders remained skeptical that an extension would have any meaningful impact and agreed to only allow for two additional weeks, moving the divorce date to April 12, 2019, which the Members of Parliament (MPs) still have to approve as well. If MPs approve the extension and May is able to pass the negotiated Brexit deal in those two weeks, her government will be afforded additional time to work out the logistics of actually leaving the EU, and the UK will exit, deal in hand, on May 22, 2019. However, if May fails to pass the deal for a third time, then any number of things could happen. The most probable is a no-deal Brexit, since there doesn’t appear to be enough support for any other option. Other possibilities include a lengthy extension to consider other alternatives, including renegotiation, a second referendum, calling an election, or canceling Brexit altogether. It remains unclear how willing the EU would be to accept a lengthy extension — which would require the UK to participate in EU elections — in the event of a third failed meaningful vote. Thus, as the machinations in London and Brussels continue, the public must prepare for potential no-deal bedlam, which experts warn would result in potential shortages of everything from medicines to food. Although the slight extension may have temporarily lowered the blood pressure of those in charge of pharmaceutical supply chains in the EU and the UK, a no-deal Brexit remains a real possibility. The president of the European Federation of Pharmaceutical Industries and Associations (EFPIA) stated in a March 21 article that that the pharma industry is concerned by a lack of focus outside the industry on protecting the supply of medicines supply, as well as the EU’s stance of leaving some critical issues to be resolved by EU member states. While the UK and EU member states have made some preparations for a no-deal Brexit, EFPIA does not feel that they are enough. 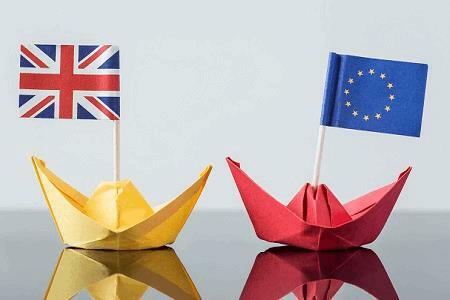 In an effort to alleviate industry fears about market authorization in the event of a no-deal Brexit, the British Medicines and Healthcare products Regulatory Agency (MHRA) in early March released guidance on regulatory submissions in the event of a no-deal Brexit. The guidance consists of six documents, five of which address importing and exporting medicines and active substances, and the other specifically related to pediatric clinical studies. The guidance documents attempt to address all areas of Brexit concern, including approved countries for importing and batch testing of medicines and manufacturing of active substances, importing medicines from the European Economic Area (EEA), oversight of investigational medicinal products, the “written confirmation” process for active substances manufactured in the UK, guidance on good distribution practices, and more. Overall, the MHRA has introduced contingency plans to minimize potential supply chain disruptions by including the EEA members as approved countries for a number of import and export scenarios. In addition to the first batch of guidance in early March, the MHRA also released further guidance on registering clinical trials, publishing trial results, future trial transparency efforts, and the process for applicants applying for a pediatric investigation plan (PIP), waiver, deferral, or product-specific waiver. In the event of a no-deal Brexit, manufacturers should continue using existing and established international registers such as EudraCT (EU), the ISRCTN (International Standard Randomised Controlled Trial Number) register (UK), and ClinicalTrials.gov (U.S.). Summary results should be published within the timeframes in the public register (or registers). One wrench in the works is new EU regulation for clinical trials, which will not be in force prior to the Brexit divorce date. The MHRA states it will align, where possible, with the new regulation when it does come into force in the EU, even in the event of a no-deal Brexit. Ideally, the MHRA hopes to launch an equivalent hub to the EU’s new portal, but timelines for that project have not yet been released. Overall, the MHRA has done what it can to assure industry that a no-deal Brexit will not a complete catastrophe for pharmaceutical manufacturers. However, it’s not apparent that those assurances have done much to placate concerns, as the uncertainty of Brexit continues and fears of the a no-deal Brexit deepen. One glimmer of hope for a no-deal Brexit is word coming from Brussels that the EU understands the tumult such an exit would cause and is prepared to help manage the situation enough to avoid undue harm. What this help will look like in practice is unclear, leaving many to hope they never have to find out. Yulia Privolnev is a manager on the Global Market Access Insights team at DRG. She is responsible for monitoring, analyzing, and reporting on global market access through the production of DRG’s Global Market Access Solution (GMAS) and Access & Reimbursement products. Privolnev’s specific focus is on all aspects of market access in Western and Eastern Europe, as well as international reference pricing and managed-entry agreements on a global scale. She earned a bachelor’s degree from the University of Toronto and a master’s degree from the London School of Economics.